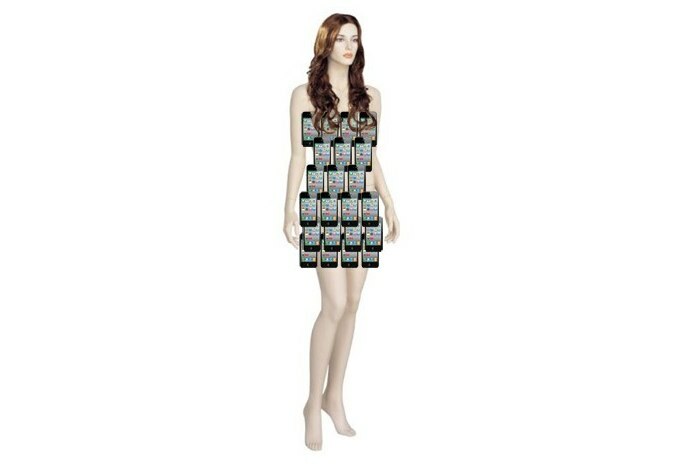 A woman attempted to smuggle 44 iPhones into Israel, by "strapping" the handsets all around her body. Unsurprisingly, the full body scanners at Israel's Ben-Gurion International Airport caught the 60-something year old. Furthermore, the woman apparently looked quite conspicuous; she was dressed in full Georgian attire, and was struggling to walk through the airport. Exactly why the lady had decided to try her hand at smuggling iPhones is not yet known. Regardless, I doubt she'll try it again.